We always welcome more memories, suggestions for what you might cover are here. And if you have photos you'd like to share, please e-mail us. Elsewhere, if you haven't read it, do look at Doris Hazell's memories as a tram and bus conductor during and after the war. 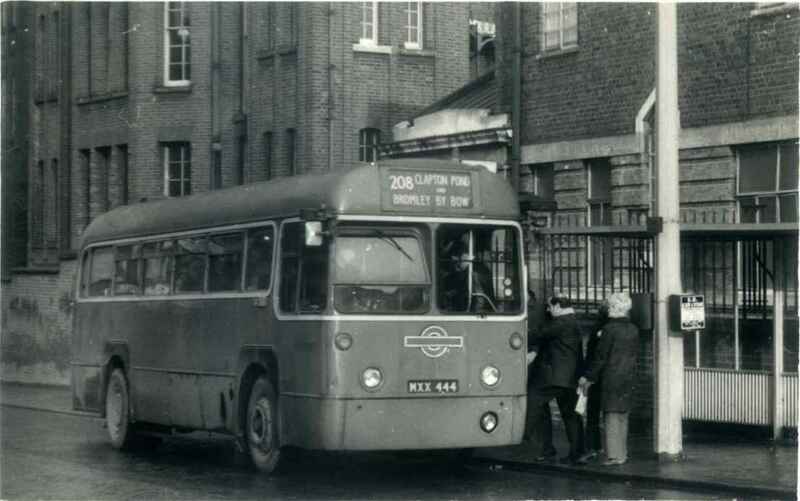 There is also David Streatfield's blog 40 years on the buses, including early stints at Edgware and Uxbridge in the 1960s. 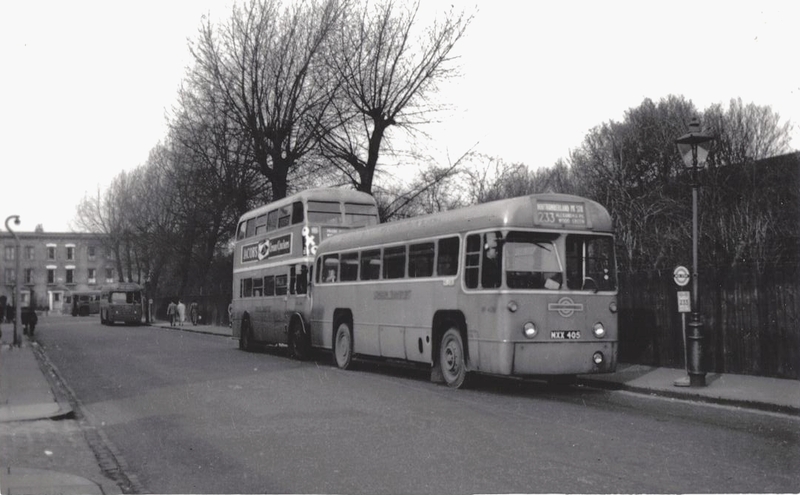 I might also mention a couple of excellent books - Stan Collins' 'The Wheels Used to Talk To Us' about trams and J. S. Wagstaff's 'Bus Crew - London 1924-1970' in which Jim and May Cooke talk about their days on the buses from London's Bromley Garage. 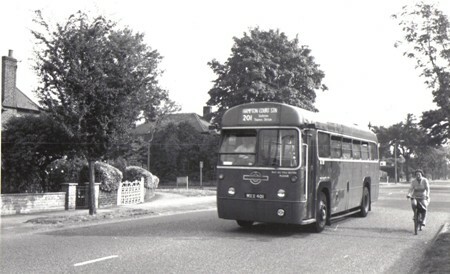 In a picture redolent of an earlier era, RF424 is at Imber Court on the 201 in the early 70s. was 'temporary' until 1961, when the (by then double-deck) 233 stand was the far one. 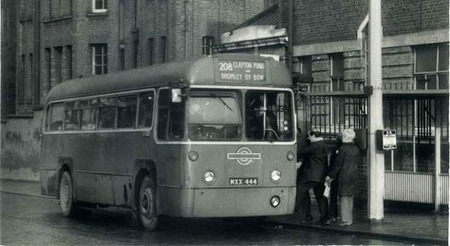 Doorless RF467 working the 208 loads up at Hackney Hospital.